A full-bodied and well-rounded blend with sweet chocolate tones and a crisp, toasty flavor. 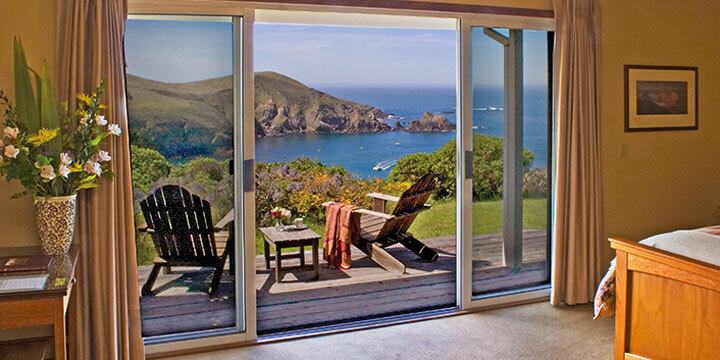 The romantic Albion River Inn is located at cliff’s edge, high above the Pacific, and delivers the quintessential Mendocino Coast experience with spectacular ocean and headland views, casually elegant lodging, an acclaimed restaurant, and an award winning wine list. 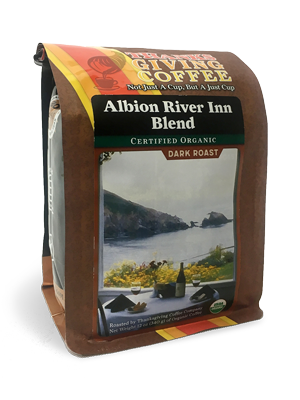 This unique blend from Thanksgiving Coffee has been a traditional part of Albion River Inn’s fine culinary experience for decades. 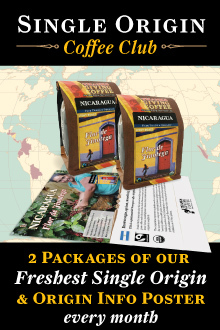 A full-bodied and well-rounded blend with sweet chocolate tones and a crisp, toasty flavor, our Organic blend is grown high in the mountains of northern Nicaragua. Its rich complex flavor is a delightful reminder of the Albion River Inn and California’s magnificent North Coast. 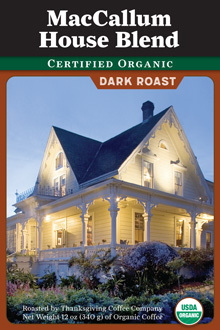 Organic coffee, reminiscent of the lovely Albion River Inn. Available in Whole Bean or Ground: auto drip, french press, espresso or percolator. Visit the Albion River Inn Website. From ELIZABETH DELAND of KLAMATH RIVER, California on 12/12/2011 . My husband and I were married at the Albion River Inn 20 years ago, and this has become our "house blend" coffee for all those years. It's a very rich blend, full of flavor, with no bitterness.